Miami Airport Marriott welcomes you with stylish hotel accommodations, restaurants, meeting space, an outdoor pool and free shuttle to MIA International. 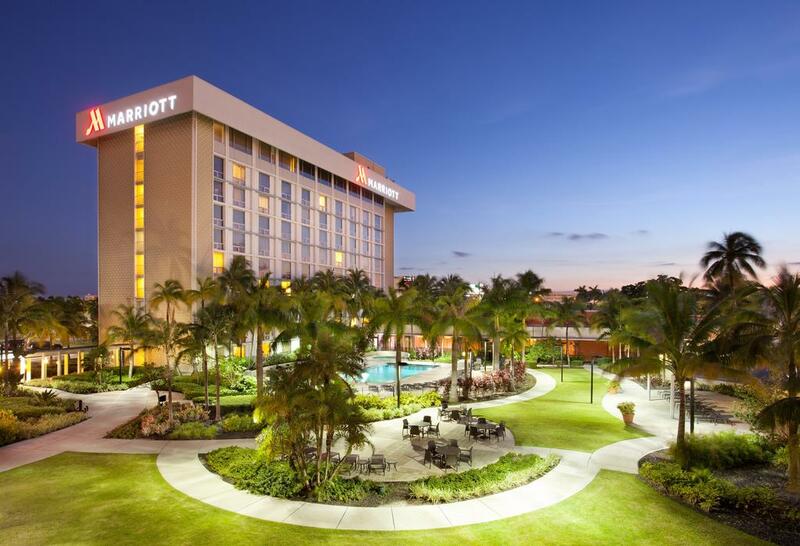 Situated near the airport, this hotel is within 6 mi (10 km) of Magic City Casino, Marlins Park, and University of Miami. Downtown Miami Shopping District and American Airlines Arena are also within 6 mi (10 km). A restaurant, an outdoor pool, and a fitness center are available at this smoke-free hotel. Free WiFi in public areas and a free airport shuttle are also provided. Additionally, a bar/lounge, a coffee shop/café, and a spa tub are onsite. All 367 rooms offer WiFi, room service, and Smart TVs with cable channels. Other amenities available to guests include Netflix, premium bedding, and coffee makers.